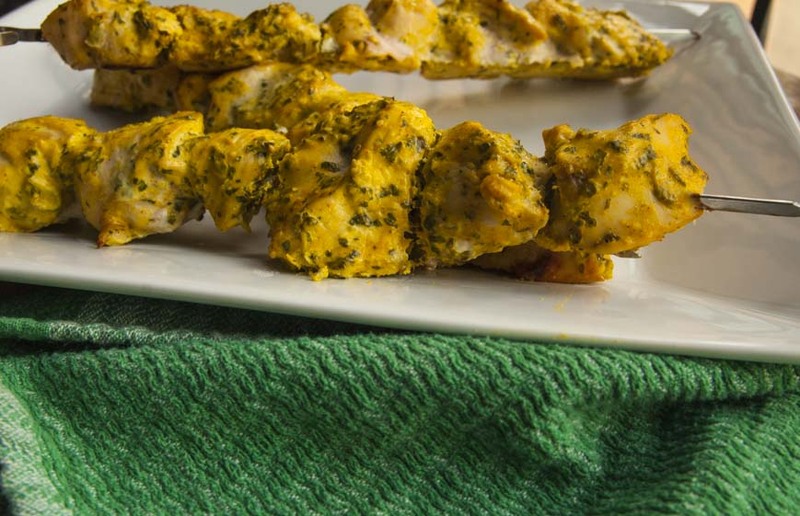 Turmeric Yogurt Marinated Chicken Skewers need to be added to your summer bucket list. Also: Alert the carb gods!! I’m free! Hide all the sweet potatoes because I’m coming in hot. Okay, I know, I’m being dramatic. Buttttttt…..
I’m officially through my 21 day experiment with keto! And I don’t know, personally I wasn’t that impressed with my experience. That’s not to say keto doesn’t work for everyone. Different bodies need different things. And honestly, after 21 days I still felt a lack of energy all the time. I live on the third floor and walking up 3 flights of stairs was exhausting. I will say there are aspects that I am going to incorporate into my life. Like the fact that I do think I normally eat an excessive amount of carbs and sugar normally and am probably going to be more cognizant of that. But if it’s a Saturday, I’m probably going to have a beer, and I’m definitely going to enjoy it. 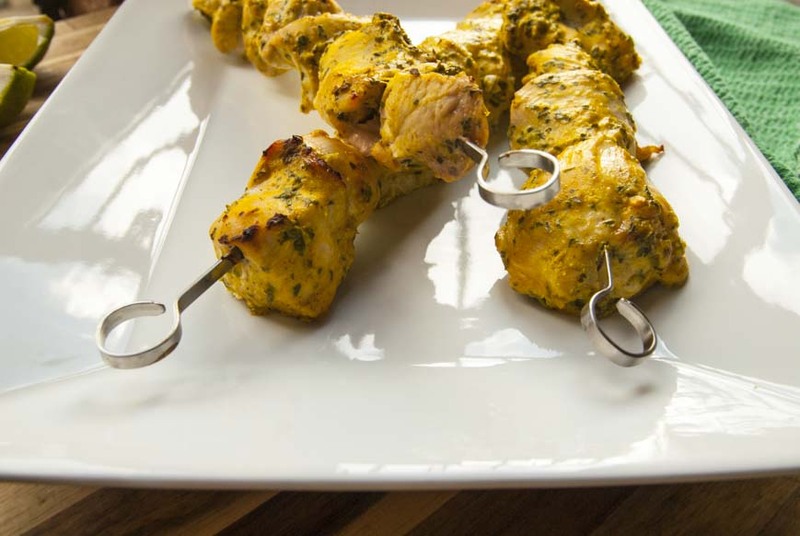 And these Turmeric Yogurt Marinated Chicken Skewers are the perfect pairing. My diet typically consists of proteins and veggies anyway, so I’m happy going back to the way I normally eat. 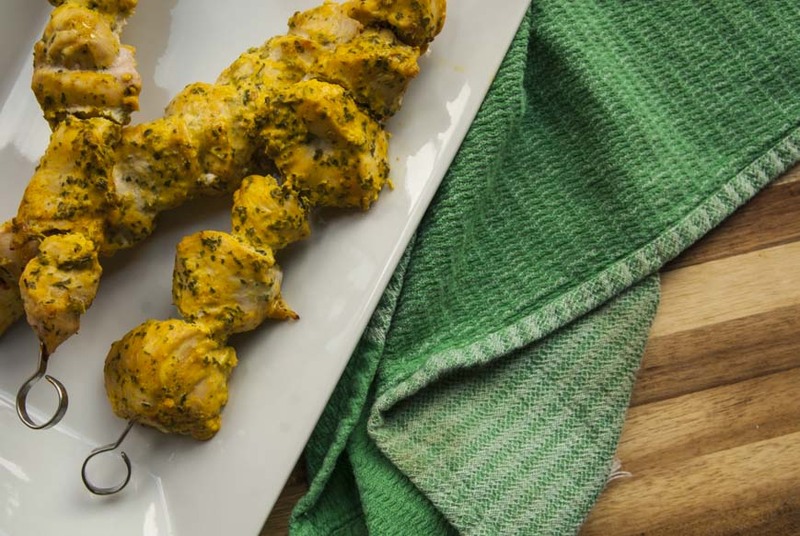 This Turmeric Yogurt Marinated Chicken Skewers are great for Keto, but not keto exclusive. If you are keto, it would be great with some cauliflower rice. 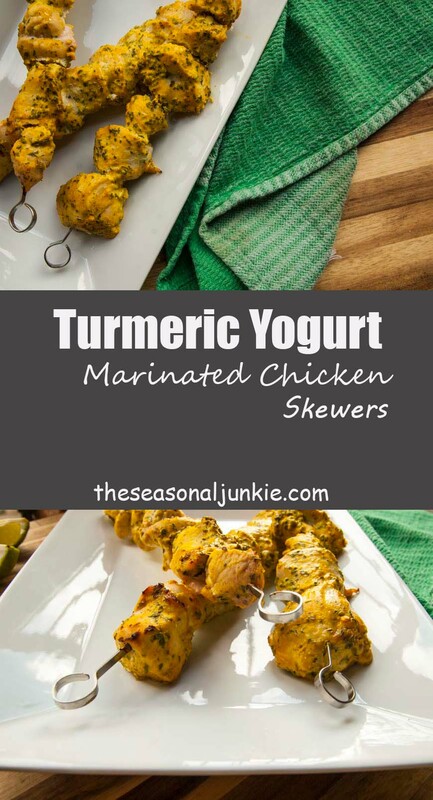 If your not, pair these Turmeric Yogurt Marinated Chicken Skewers with regular rice! 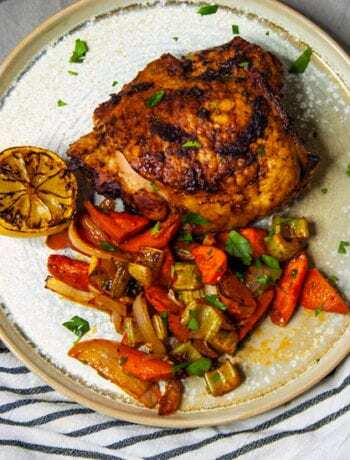 Check out this weeknight braised chicken thigh recipe! In fact, this yogurt marinade can be put on so many items and will turn out amazing. I know, I know, you might be thinking that marinated chicken in yogurt sounds weird and gross. But spoiler alert: it’s not. It’s delicious. 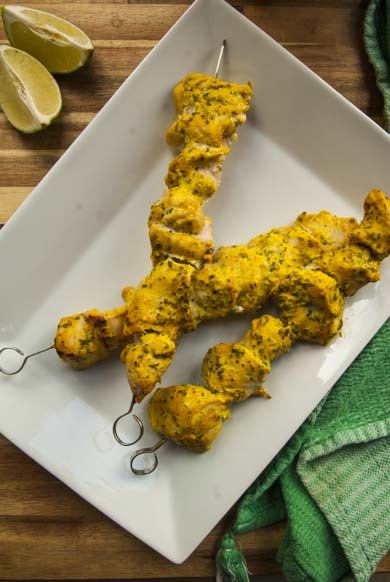 For this Turmeric Yogurt Marinated Chicken Skewers, I marinated chicken for 24 hours and because Arizona loves to throw temper tantrums (ie monsoon season) I ended up having to bake it instead of grilling. Which would have been the preferred method. But I’m not complaining, because the flavor was on point. These Turmeric Yogurt Marinated Chicken Skewers are the perfect complement to a summer night, so fire up your grill or your oven! These look very tasty and I know Tumeric is so good for you. I try to add it to my rice a lot and sometimes quinoa. But I haven’t tried something like this. So I’m saving the recipe. 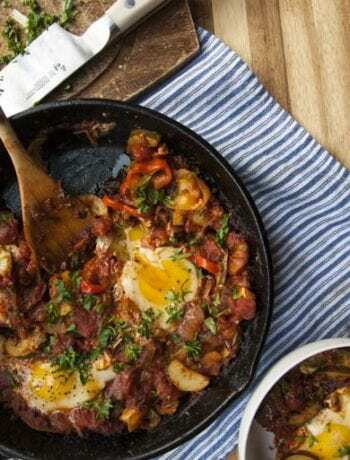 I’m not on keto, but these look like something we would all love for dinner. I’m excited to try these, thanks! I’ve been doing Keto for a couple of weeks. 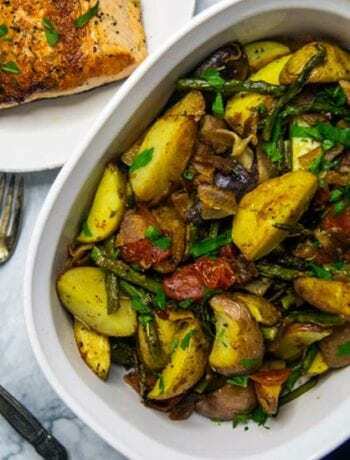 This will be great to try with some cauliflower rice!